The duration of the experiment ends handwritten resignation of passport living in the UK, about 25 thousand Nepali Embassy through the machine are full PASSPORTS (MRP) are taken. Embassy 25 thousand MRP record is already taken. 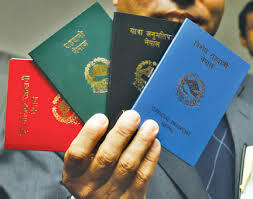 About 20 thousand Nepalese Embassy in London taken directly to the Foreign Ministry is estimated MRP.